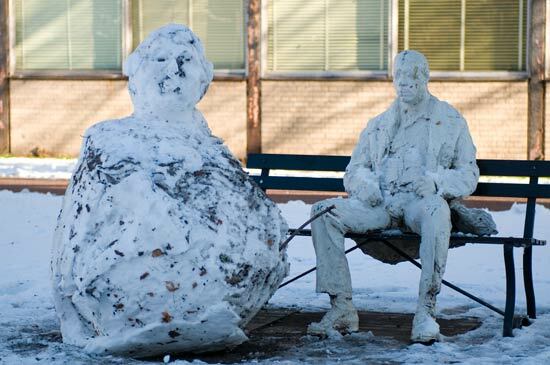 A snowman joins George Segal’s Man on a Bench, the first piece of public sculpture displayed outdoors at IIT. 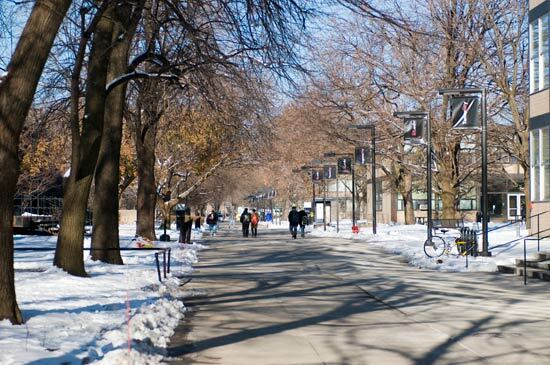 Azure skies pair with a covering of snow to light up Main Campus in the unique way that only winter can. With foliage on winter break, the buildings and other campus structures take center stage. 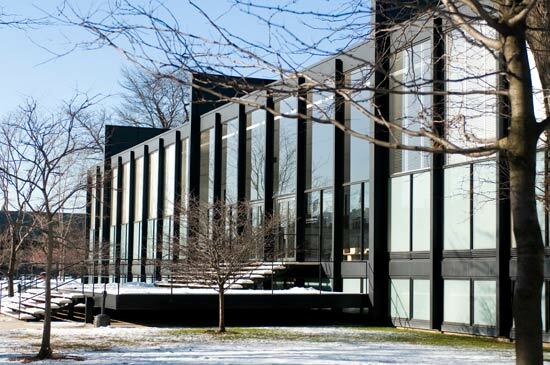 The Ludwig Mies van der Rohe-designed Main Campus recently earned the No. 2 spot on Chicago Magazine’s list of Top 40 Artistic Breakthroughs in Chicago history. Red branches against the windows of Hermann Hall provide a subtle yet pleasant contrast of color. 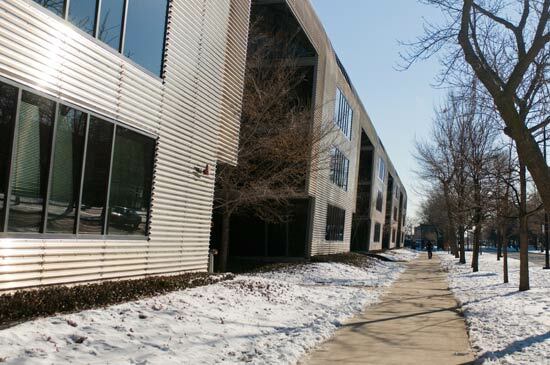 A bright midday sun encourages walkers on Footlik Lane on Main Campus. 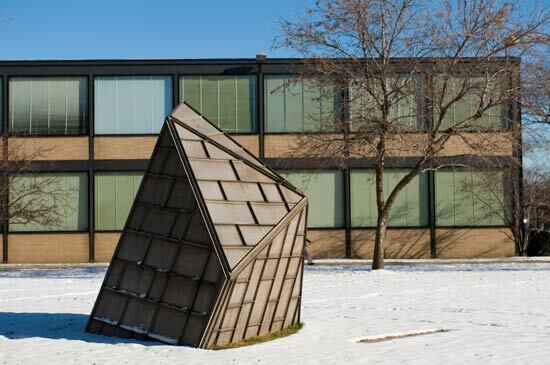 The hollow, metal polyhedron sculptureS. O. O. by Lincoln Schatz is located on the lawn just west of the Engineering I Building. 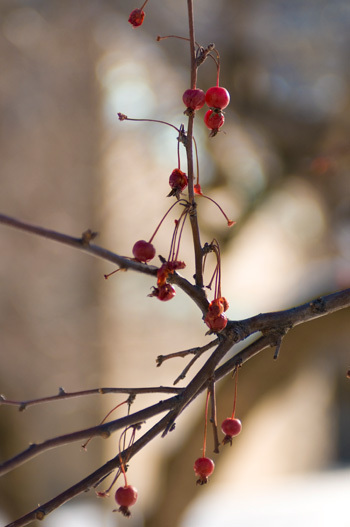 Although many of the deciduous trees on Main Campus are bare, exceptions can be found. 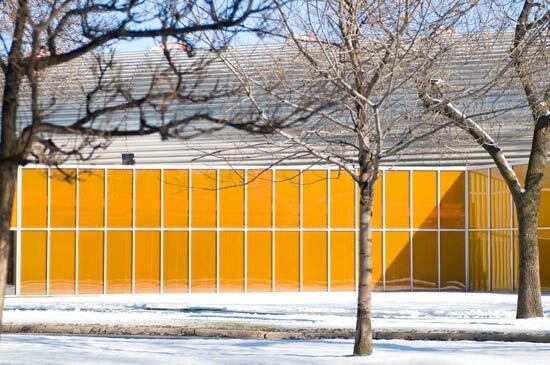 The white panes of The McCormick Tribune Campus Center seem an extension of the snow-covered lawn. 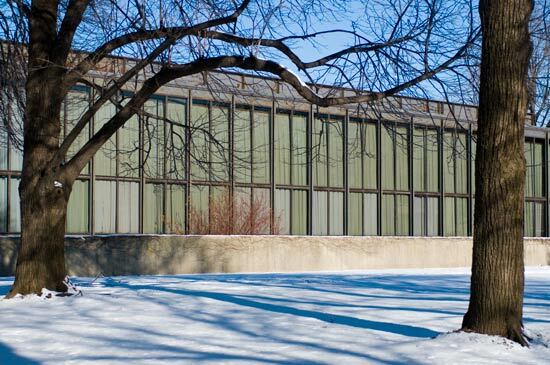 S. R. Crown Hall, home of IIT College of Architecture and a National Historic Landmark. 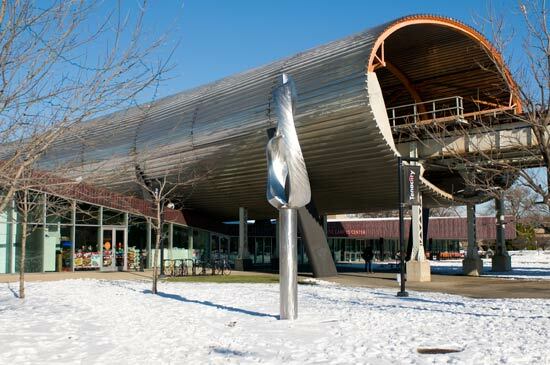 The sheen of David Noguchi’sLuminescence sculpture, on temporary display outside The McCormick Tribune Campus Center, complements the metallic Exelon Tube “El” tunnel. 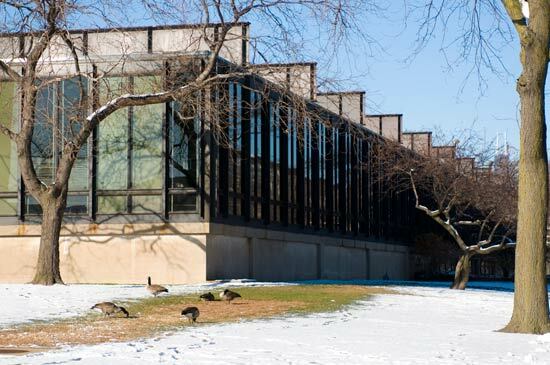 Canada geese find a green and sunny patch outside Paul V. Galvin Library. The sidewalk outside the Helmut Jahn-designed State Street Village offers a lone walker plenty of room.